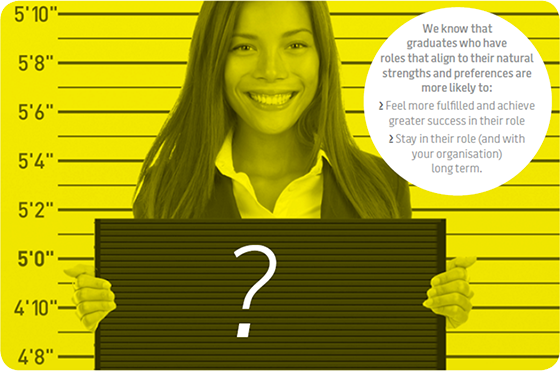 Fusion’s unique profiling methodology supports the success of a well executed graduate recruitment and development program and is conducted in two key phases known as Success and Development profiling. Conducted prior to recruitment, Success Profiling identifies and defines the critical success factors required for a graduate role and forms the foundation of the recruitment process by giving us an “ideal profile” to recruit against. 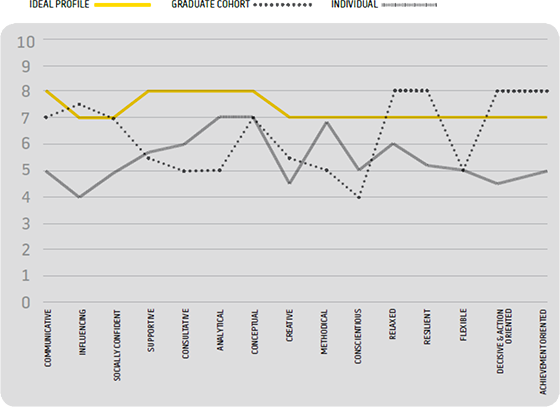 To ensure that the correct success factors are identified early a job profiling tool is used to engage key stakeholders including managers, employees and current high performing graduates. The identified critical success factors are then mapped and aligned to an organisation’s competency framework to form the basis of a successful recruitment process. 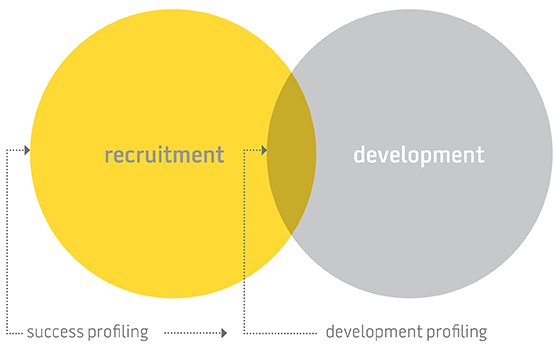 Development Profiling begins post recruitment and involves the analysis of assessment data collected during the recruitment process. During this phase, the assessment results are compared to the previously defined success profile to determine the development needs of the graduates at a group and individual level. The result of this phase drives the design and delivery of a customised development program and provides each graduate with an individual development plan that can be incorporated into their ongoing performance discussions with their manager.